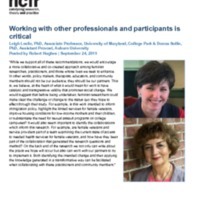 We would encourage a more collaborative and co-created approach among feminist researches, practitioners, and those whose lives we seek to enhance. 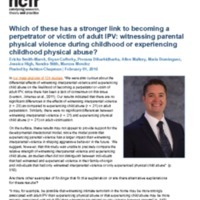 Which of these has a stronger link to becoming a perpetrator or victim of adult IPV: witnessing parental physical violence during childhood or experiencing childhood physical abuse? 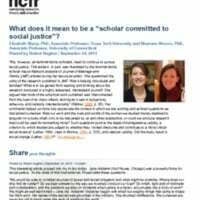 What does it mean to be a "scholar committed to social justice"? 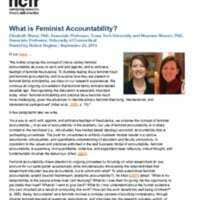 As feminist family scholars, we need to continue to pursue social justice. 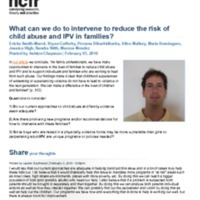 What can we do to intervene to reduce the risk of child abuse and IPV in families? 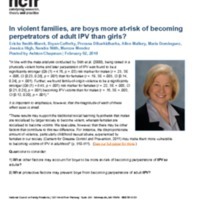 In violent families, are boys more at-risk of becoming perpetrators of adult IPV than girls? 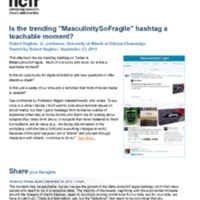 Is the trending "MasculinitySoFragile" hashtag a teachable moment? 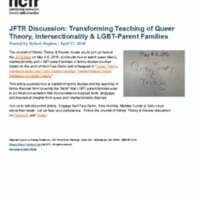 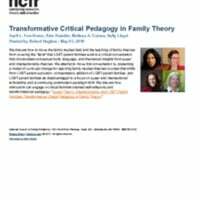 Discussion -- May 4-6, 2016......join us to talk abouthow to teach queer theory, intersectionality and LGBT-parent families in family studies courses. 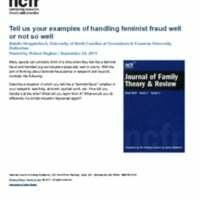 Think of a time when they felt like a feminist fraud and handled a situation especially well or poorly.